As you probably already know, we love celebrating ‘healthy’ days throughout the year! We’re big fans of the UNL Food Calendar and use many of the days they highlight to bring attention to different nutrition topics. This week is National School Breakfast Week, which also happens to coincide with Cereal Day (tomorrow). So, to further the message of creating a healthy breakfast, we’ve compiled our RD’s tips for the best ways to make the most of your breakfast cereal. Many RD’s tend to shun breakfast cereals. It’s really not surprising given all the added sugar, empty carbs and deceitful marketing surrounding popular cereals. However, there are many companies out there fighting to provide healthy breakfast cereal options. Plus, by using some of our tips below, you can really beef up your breakfast cereal to a level that will please any dietitian. Whole Grains: Check the ingredients label to see if the first ingredient is a whole grain. If the first ingredient is enriched or refined whole grain then it’s best to but it back on the shelf. Stick to the serving size. 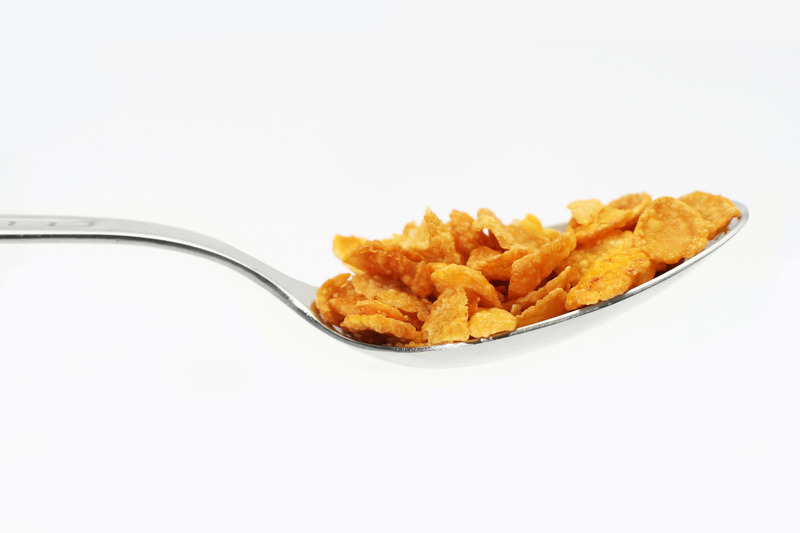 Most cereal serving sizes are between ¾ and 1 cup. However, most cereal bowls easily lend themselves to servings at least double that size. Use a measuring cup, or one of our NCES Right-Sized Portion Bowls to keep your cereal portions in check. Full your bowl with nutritious add-ins. Fruit like bananas and strawberries, as well as nuts and dried fruits like blueberries help to provide the fuel your body needs to get through the morning. Since you’re focusing on cereal portions now, you’re bowl may look a little emptier than your used to. So, fill it up with fresh, filling options! Breakfast tends to be one of the hardest meals for many Americans. Mornings are busy and donuts are easy. However, understanding how different foods can fuel your body for the day will help you build the best cereal. Cereal isn’t the only way to start your day either! When you’re choosing breakfast foods, focus on these same tips. Protein and Fiber will help you start the day strong, making foods like eggs and peanut butter a good choice. Just remember to focus on portion control. How you start your morning can determine your attitude about eating for the rest of the day. For more great tips on starting your day with a healthy breakfast, check out the NCES “Breakfast: The Most Important Meal of the Day” video, available as a Lunch N Learn Presentation or on DVD.